Don’t you just hate perfectionists? People who do everything just right, who finish all their sentences and clean their room every day… to be like that requires a certain amount of delusion. Aakash Mehta does not have that. He has jokes, and stories and some songs that are sort of there. He has many funny videos online that are sort of viral. And that’s life, never really neatly framed but bursting at the seams. Half-baked is just that. Not a masterpiece, yet. But very real. And mostly funny. 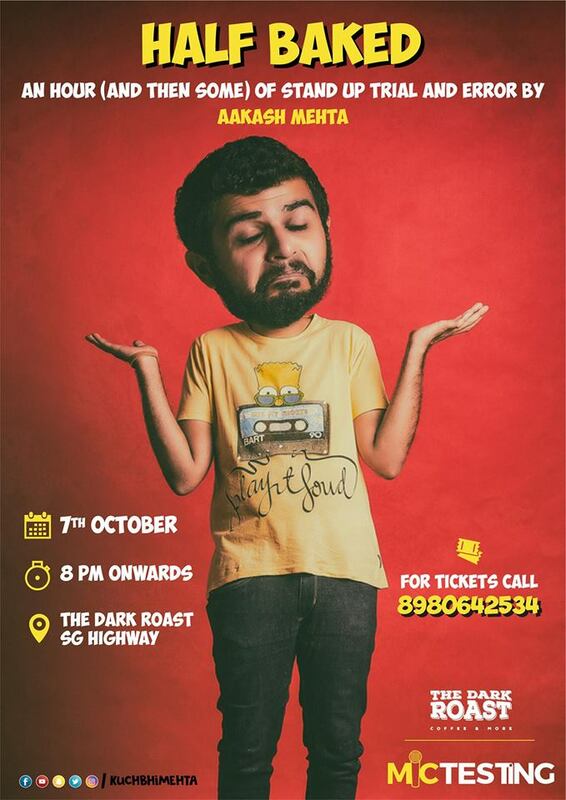 Aakash Mehta’s seventh year in stand-up in one roaring, sloppy mess of a show. Catch it before it’s hot… or cold, either way, just come!